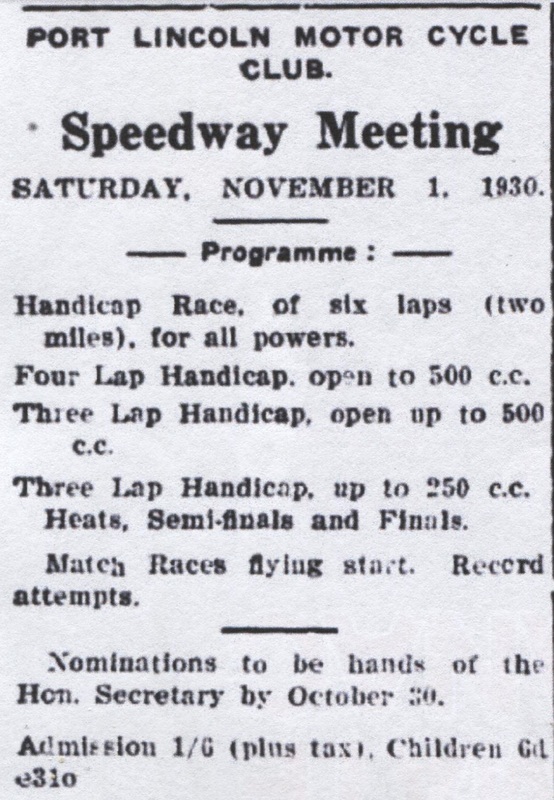 Port Lincoln Speedway operated a handful of meetings through out 1930, These were all motorcycle racing events, The first of these meeting was held on property owned by Mr RW Feltus on then Proper Rd near the rail crossing. 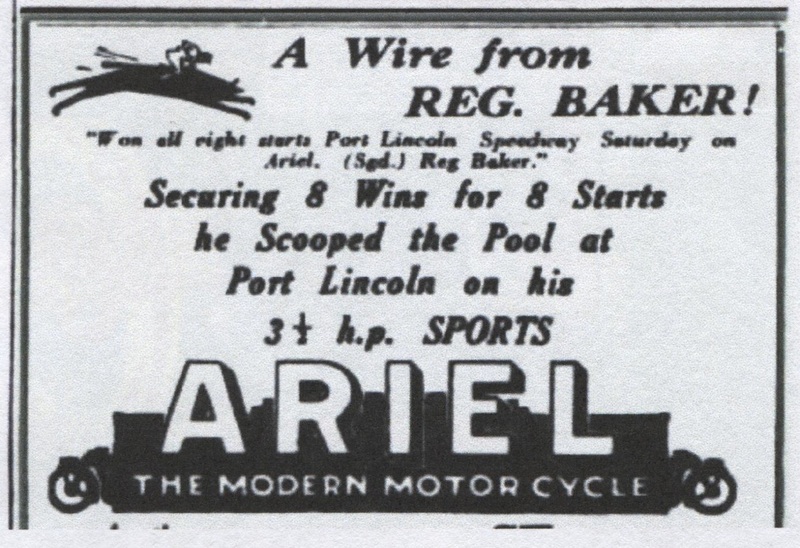 From the Port Lincoln Speedway on Saturday afternoon, Con Morley, ridering his privately owned Ulster Rudge, Telegraphed to Lenrocks, stating that in three races he secured two firsts and a second. Several days previously, riding in the Wudinna Show meeting from a big field and on a four lap to the mile track, he won first place in the open handicap amid great excitement, Reg Baker was a competitor in this event. At the Elliston speed meeting held recently, on the one mile track, CH Wiseman, riding his Ulster Rudge not only won the championship, but broke the track record which he still holds. 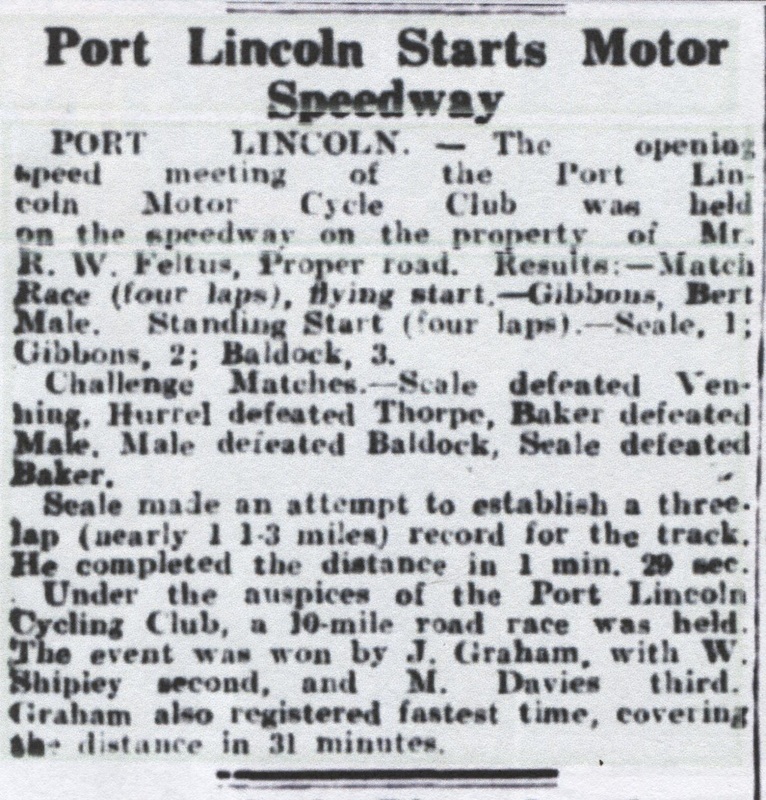 In 1931 the Port Lincoln club held a speedway meeting at Tumby Bay. 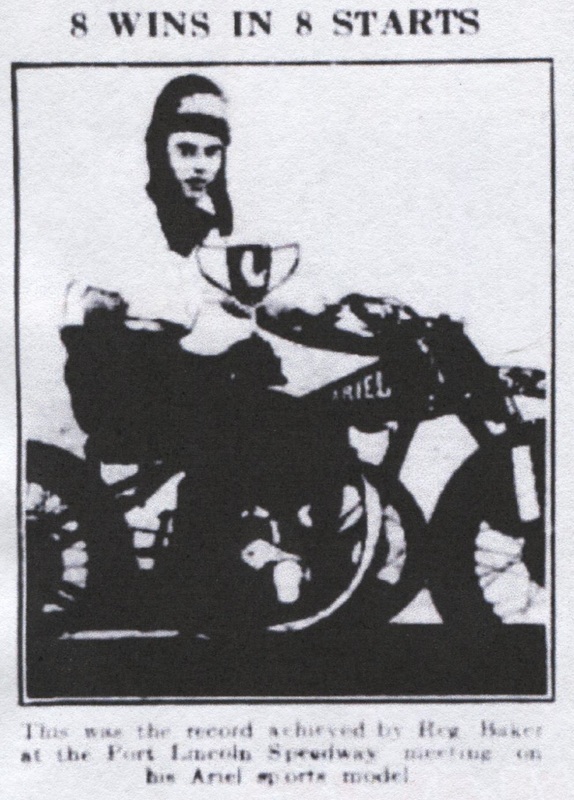 After World War 2 the Port Lincoln Motor Cycle Club held a speedway meeting behind the trust homes area. 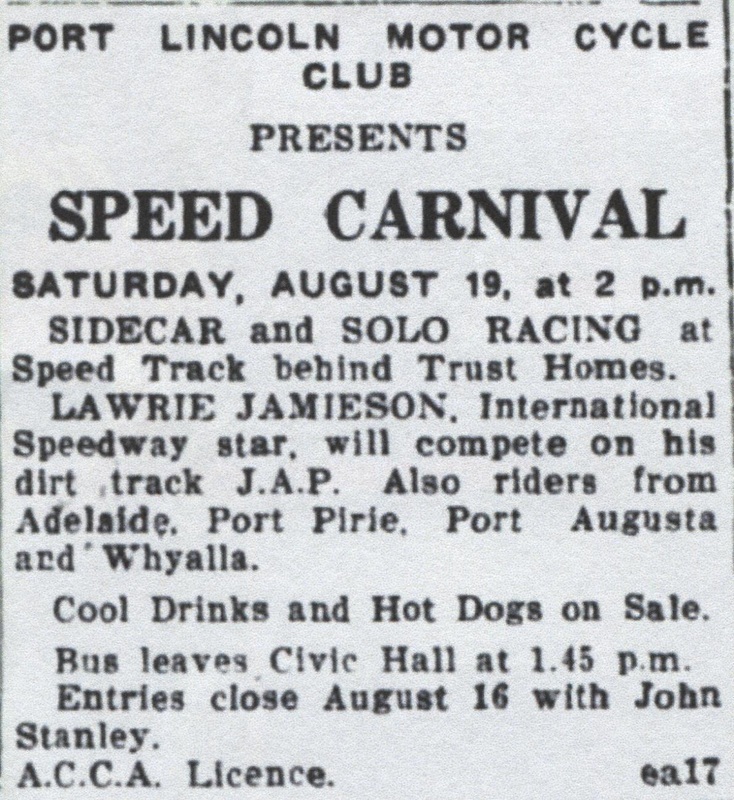 During the years the club existed the members attended many speedway meetings in South Australia, especially the Eyre Peninsular Speedways, often travelling as far as Rowley Park in Adelaide, The club boasted some very successful riders.